Doculicious is a web based forms builder geared to help web developers and designers who want to easily make web forms that creates PDF documents when submitted. The site’s got a WYSIWYG form builder, undo/redo, a programming API and automatically does a lot of the work in creating database backed forms that need to fill-in PDFs. A free account will get you 1 active template, 20 generated PDFs/month, 50 Web Form Entries/month, and 5MB of image storage. If you are a heavy user you can easily upgrade your account by acquiring their premium services. The goal of Doculicious is to eliminate the use of static PDF documents that usually forces users to download, print, handwrite and submit forms. The site owners and developers can easily create templates and embed them on their websites making it easier on both sides to process the information exchange. 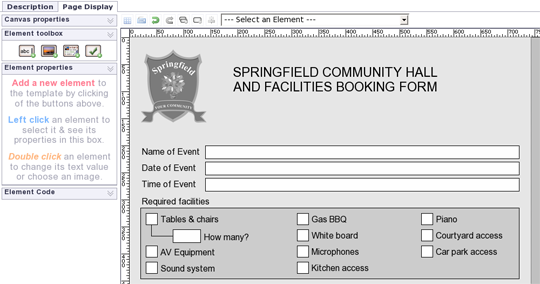 This is great for online business and organizations that usually requires users to fill-up some kind of form for filing. It will give the users a better web experience making everybody’s life a lot easier. i am looking this tools, i will try right away, thanks.